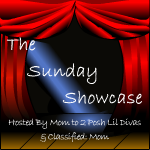 Day 4’s book was Merry Christmas, A Victorian Verse by Mary Teichman. We previously did this book on our countdown in 2011 but thought we would revisit it now that everyone is 2 years older. 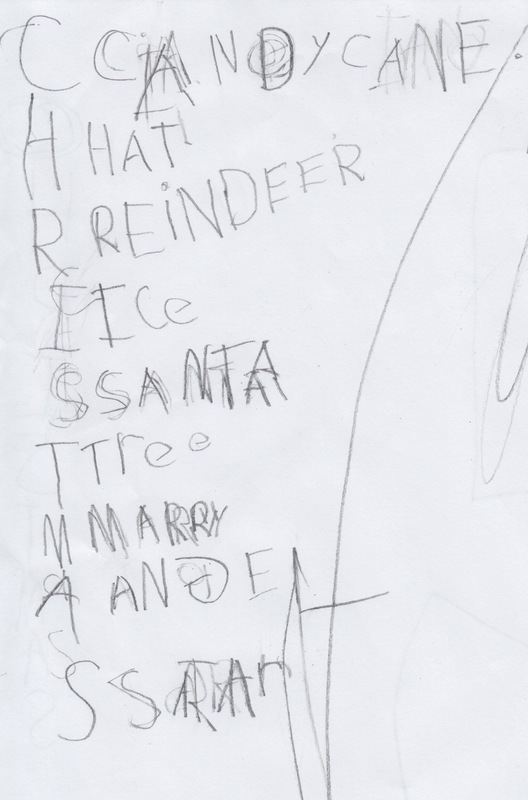 Eileen (age 5) had to come up with a word for each letter of the word CHRISTMAS. She was determined to do this all on her own. 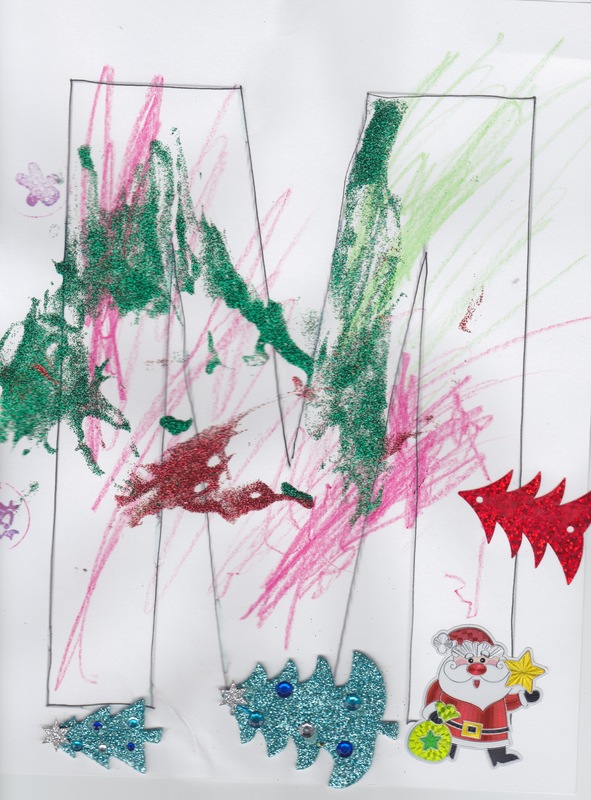 I wasn’t going to have Michael (age 3) do anything this night but he was determine, and also very pre-occupied with the fact that ‘MERRY CHRISTMAS’ starts with the letter M. He is convinced that this letter belongs solely to him as it is ‘his letter’. I decided to embrace this and I printed him a large uppercase M to decorate. 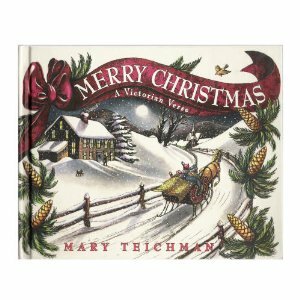 I found Merry Christmas: A Victorian Verse by Mary Teichman at our local discount book store and thought it would be a great book for Literacy Tuesdays. Originally published in 1993, it reads as if it was written 100 years ago. This is a great book for working on literacy skills with both of my girls. 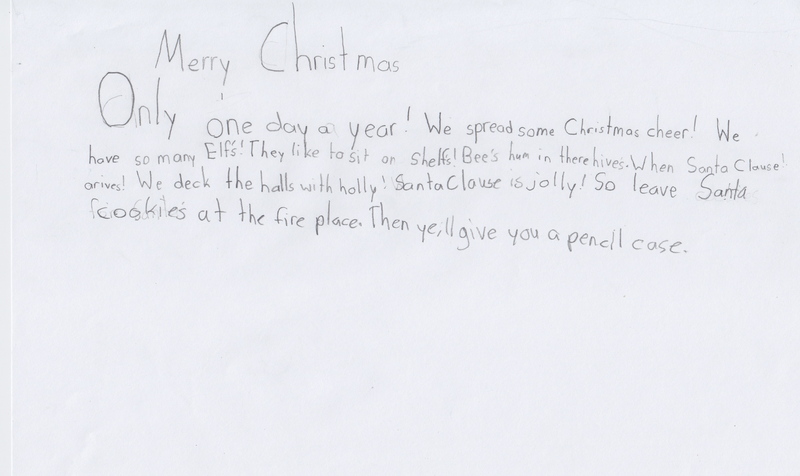 It is written using the letters in the phrase “Merry Christmas”. Each page is a different letter: “M for the Music, merry and clear”. For Eileen she loved reading me the letter on each page and then I would read the rest of the phrase. After a couple of pages Kaitlyn decided it was her job to tell us the sound that the letter makes, fine with me! They didn’t realize while we read it that there is a rhyming scheme but I could easily point it on on a re-read. For Eileen’s activity we focused on letter recognition and made it a bit more fun by adding in our alphabet stamps. On the back is written the complete text of the poem in the book. I asked her to tell me the name of each letter, and then she would find the stamp and then stamp it on her paper. It worked pretty well but a couple of times she got mixed up on where to stamp hence it is a bit difficult to make out the Merry Christmas. I realized after that we also missed the last S. When you remember that she is only 3 I think the exercise worked pretty well. Kaitlyn’s activity was to write her own acrostic poem. We have not done any poetry at home yet but she loves to write so I knew she would like this activity. I first asked her to pick a Christmas word or phrase and she came up with ‘Santa Claus’. I thought this was the perfect length for her and not too long. She wrote the letters down the left hand side of her page and we decided to write ‘is for’ after each letter to make it easier for her to write and read. 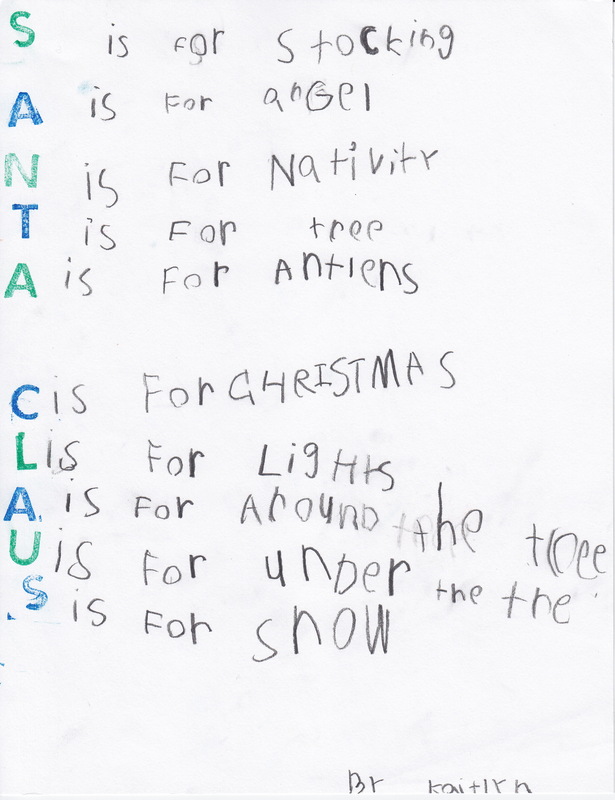 She got stuck on a few letters but the only one Mommy had to give her was nativity for the letter N. After she was done her rough copy she stamped out the word Santa Claus (it was her idea to do the colour pattern) and then neatly printed her poem. I think she did an awesome job!